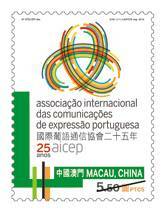 In celebration of the 25th anniversary of the establishment of the International Association of Portuguese-Speaking Communications (AICEP), nine postal administrations of the Portuguese-speaking Countries and Territories are jointly issued a common stamp theme “25 Years of AICEP” on 27th April, 2015. The participating postal administrations and territories are: Angola, Brazil, Cape Verde, Guinea-Bissau, Macao, Mozambique, Portugal, Sao Tome and Principe, and East Timor. This issue includes one stamp, the design shows the emblem of AICEP. 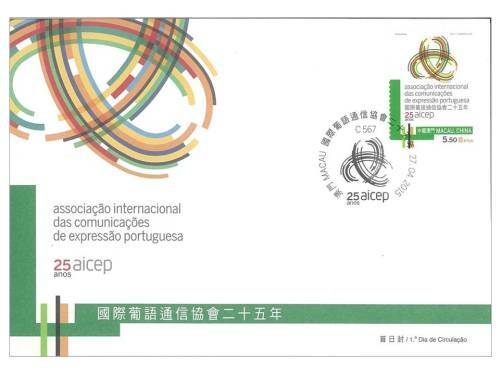 Established in 1990, the AICEP is a non-governmental, non-profit international, scientific and technical association, whose object is to promote closer relations between its Members, so as to contribute to the harmonization, development and modernization of communications, as well as supporting projects and programmes, in Portuguese-Speaking Countries. The Annual General Assembly and the 23rd AICEP Communications Forum of 2015 will be taken place in Lisbon from 27 to 28 April. 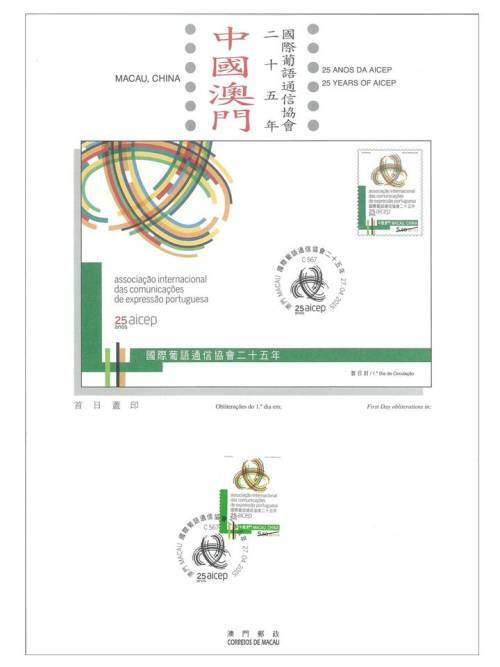 The stamp of this issue is designed by AF Atelier, Portugal, while the composition of the first day cover and the commemorative postmark is designed by Macao Post. 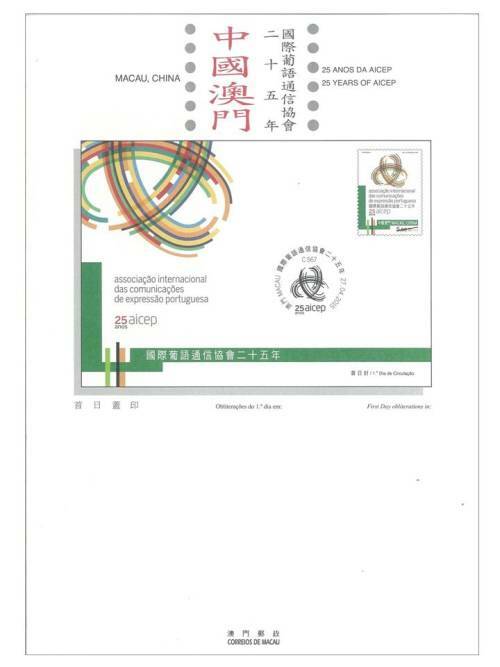 The text of the information brochure is written by the Chairman of AICEP, Mr. João Caboz Santana. 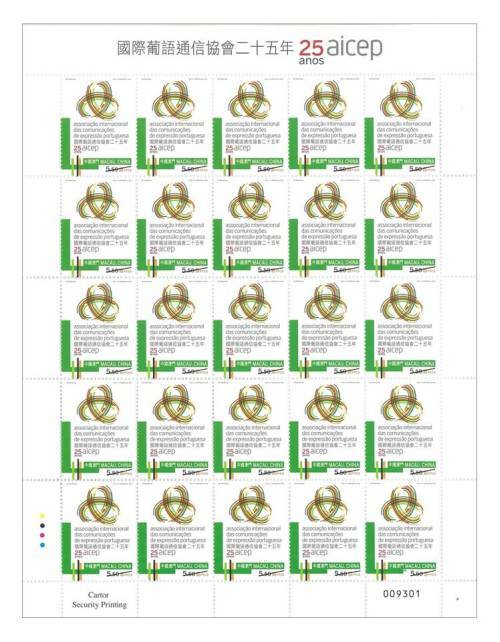 This is the fifth issue in 2015. 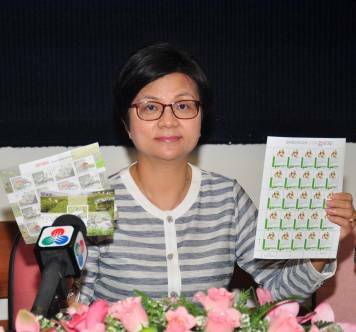 The previous issued stamps are “Lunar Year of the Goat” on 05/01/2015, the label stamp “Lunar Year of the Goat” on 28/01/2015, “110th Anniversary of Rotary International” on 16/02/2015 and “Mainland Scenery VI” on 01/03/2015..